Has the Cameroonian cemented himself a spot in Liverpool’s side…? Potentially, with Mamadou Sakho available for loan. 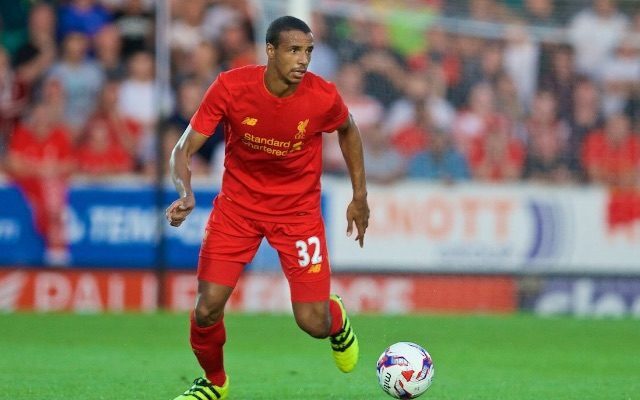 Joel Matip made his first Premier League start today, having impressed versus Burton Albion in the EFL Cup last time out. The 25-year-old endured a shaky start but was promising here on in, looking assured with the ball at his feet and hitting the bar from a corner, too. Dejan Lovren was Man of the Match alongside the former Schalke man, which suggests the pair could form a formidable partnership at the heart of Liverpool’s defence. Matip looks like a £25m defender and we got him for free. Don’t think people realise how much of a bargain we got there. Solid PL debut for Joel Matip. Looks so calm and composed. Got caught sleeping a few times, but overall a good start. Matip looks very composed. Please so far. Balance of team looked much better with Can back. Assured debut from Matip who should now get chance to establish a partnership with Lovren. The big plus today imo was Matip, looks a good player!